Hi everyone! Mathematics is one of the basic school subjects. Some people find exact sciences enlightening, others consider mathematic to be incredibly boring. And now, we are going to prove you that numbers can be fascinating. This is an amazing and incredible cool math magic trick with the numbers. No preparation needed and can be performed anywhere any time. 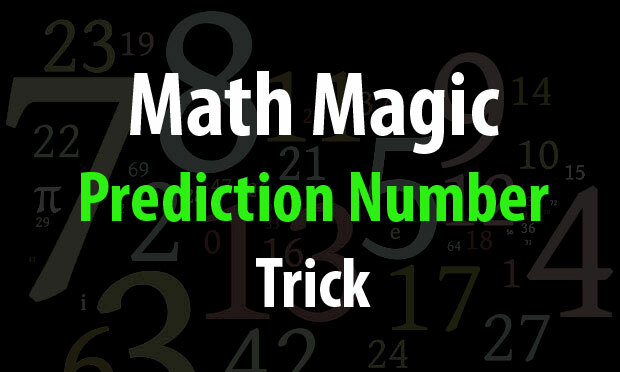 Math magic about prediction number trick, is very effective but easy. I am loving this math tricks and I am sure you are gona love it too. Read and learn it.. then have fun fooling your friends. If you pause, it won’t work. Now i'm going to guess which number you picked! Everybody started with different numbers, but ended up with the same number. Why? The number you first thought of is always eventually subtracted. Everyone has performed the same operations so you all end up with the same answer. Now i will guess your name! What you are about to read is a fun, awesome math trick. for this to work, you must follow the steps carefully! The math is fairly simple, but if you need a calculator it's okay. If you have any of these letters; A, E, I, O, or U in your name, add 5. If you don't, add 8.
if you are a boy, multiply your total by 2.
if you are a girl, multiply your total by 4.
if you are a boy, take away 4 from your total. if you are a girl, take away 8 from your total. if you are a boy, halve your total. if you are a girl, quarter your total. Now, substract the number of letters in your name from your total. if you are a boy, you are done. 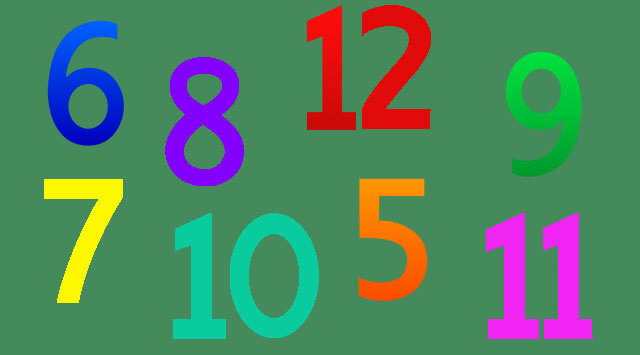 if you are a girl, add 5. Now you should be left with a 1-digit or 2-digit number. Take the first 2 digits of your home phone number and add them to the last 2 digits of your phone number. Write the number on a new sheet of paper. Fold the first page in half. Now fold the second page. Place them side by side. Now pick up the two sheets - sheet one in your left hand and sheet two in your right hand. Find a bin/drawer and place the sheets in it. "I'm a stupid person who wastes too much time on junk like this."